This is a swimming pool in The Crosby Estates of Rancho Santa Fe that always had algae. When we first looked at the pool, we found the water chemistry was not in proper balance. That is when we informed the customer that it needed to be drained due to high conditioner levels. Once the problem with the pool water was resolved, we then focussed on the usage of the pool and where it was located. This home owner in The Crosby Estates uses the pool on a daily basis, and it requires a steady stream of chlorine. Also in this area of Rancho Santa Fe, there are a lot of open areas where algae spores will get picked up and deposited into the pool water. Pentair pool products have a new salt water chlorine generator called the iChlor that was the perfect fit for this application. 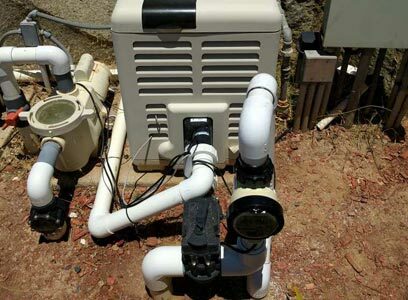 We informed the customer about everything we noticed about the swimming pool usage and surrounding areas and they agreed that installing a new salt water chlorine system seems like the best way to go for their specific needs. You will hear the basic reasoning for pool owners wanting to transition to a salt water pool. They want the silky soft skin when exiting the pool and they believe that it does not make the chemicals seem as harsh. Bad water chemistry is the reason that you will smell funky or have a chemical smell not the type of chlorine being used. With a salt water pool, you could still have those common issues with red and burning eyes, itchy skin, etc… The water chemistry still needs to be maintained properly to protect your family and your investment. This new Pentair iChlor salt water chlorine system is Pentair’s newest salt system on the market. 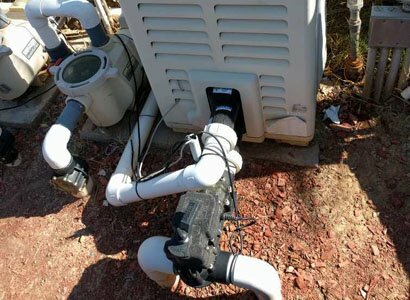 A smaller size and more user-friendly puts Pentair back up on top of the salt water pool marketplace. 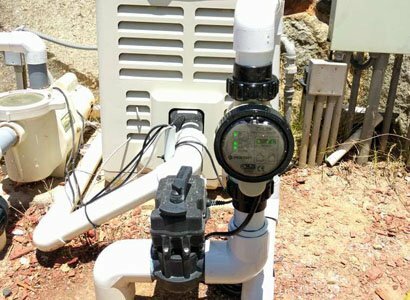 A new salt system gives this Rancho Santa Fe customer or the pool service technician the ability to set the salt production in intervals of 1. This allows for subtle changes based on usage or non-usage of the swimming pool or spa. The new Pentair iChlor is also pool automation ready and can tie into any existing EasyTouch or IntelliTouch pool automation system. It also allows for this Crosby Estates swimming pool owner to program it from their smart phone or tablet. Overall this seems like a great addition to the Pentair line of pool equipment and the salt water chlorine line of products. We are a licensed swimming pool contractor that provides complete pool equipment installation and pool equipment repair. 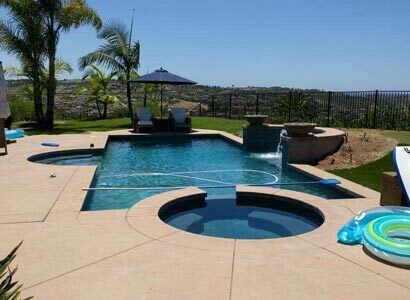 We provide our spa and pool repairs in The Crosby Estates of Rancho Santa Fe and all other areas of San Diego County. Looking to transition to a salt water chlorine pool in Rancho Santa Fe or San Diego? We can help.